Lindamlilage Prageeth Chamara Silva (Sinhala:ලිඳමලිලගේ ප්‍රගීත් චාමර සිල්වා) (born 14 December 1979 in Panadura, commonly known as Chamara Silva) is a former Sri Lankan cricketer, who played all formats of the game for 12 years. He is a right-handed batsman and a leg-break bowler. After poor performances, Silva was dropped from the squad, but continued to play in domestic seasons for Panadura Sports Club. 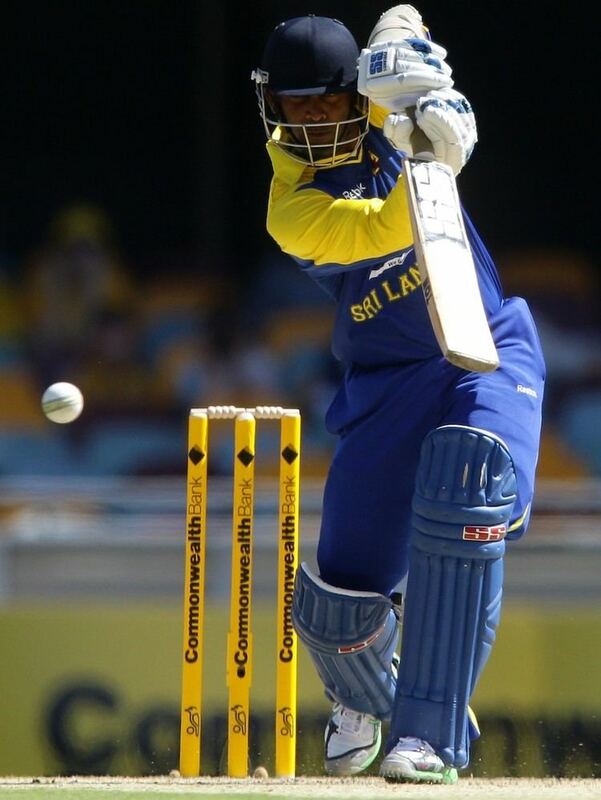 He has been compared with Aravinda de Silva due to his bow-legged stance. Silva was an important member of three World runner-up Sri Lanka teams in 2007, 2009 and 2011. Educated at the Panadura Royal College. Having set a steady record for his club Panadura, he captained the team and secured a good record including a 54 on his One Day International debut against Australia. Since 1998 he has played List A cricket, and since 2004 Twenty20 cricket, with moderate success and steady averages. He made his Test debut in New Zealand and had the worst possible start being dismissed for a pair just like his teammate Marvan Atapattu was a decade earlier. He was given a second chance however and immediately justified his selection with an entertaining, if lucky at times, 61 in the first innings of the 2nd Test, enjoying a 121 run partnership with Kumar Sangakkara. In the second innings he improved further, making a very aggressive unbeaten 152, hitting 20 fours and batting right through with the tail (most notably Chaminda Vaas, putting on 88 runs together) before running out of partners. Silva scored his first One Day International hundred against India just 3 weeks before the World Cup. His good form continued in the Cricket World Cup 2007, he managed to make 350 runs with an average of 43.75 with 4 half centuries and a highest score of 64. His success in the middle order has helped to give Sri Lanka a boost in their one day and test sides particularly after veteran middle order batsmen Russel Arnold announced his retirement at the end of the World Cup.